Holistically understand how every single touchpoint affects the customer experience to drive growth, retention and customer success. Do users return after using our core product feature? Which advertising channels drive signups? Which article categories get the most views? How do onboarding emails impact conversions? How do support tickets impact NPS? How does live chat impact conversions? How is subscription MRR growth trending by vertical? How effective is our retargeting campaign? Reveal obstacles and opportunities at every touchpoint. Combine any set of actions or attributes to visualize how users move through your website, marketing campaigns and product. Uncover each customer's unique story and quickly respond to behavior, driving engagement and increasing retention company-wide. Your product is always evolving — know where, why and how to keep growing. Discover how key metrics change over time and the attributes that drive performance with Trends Reports. 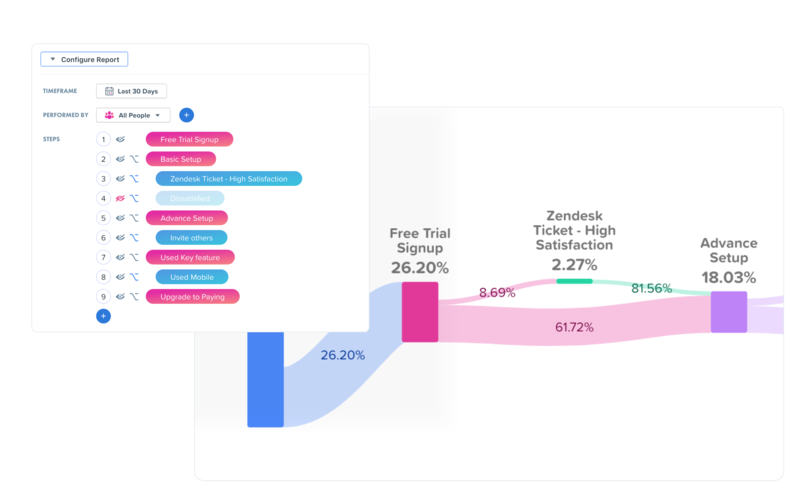 Measure product usage by feature, subscription changes by location, campaign performance by source and much more. The opposite of vanity metrics. Compare how different cohorts of users perform to identify challenges and opportunities for growth. 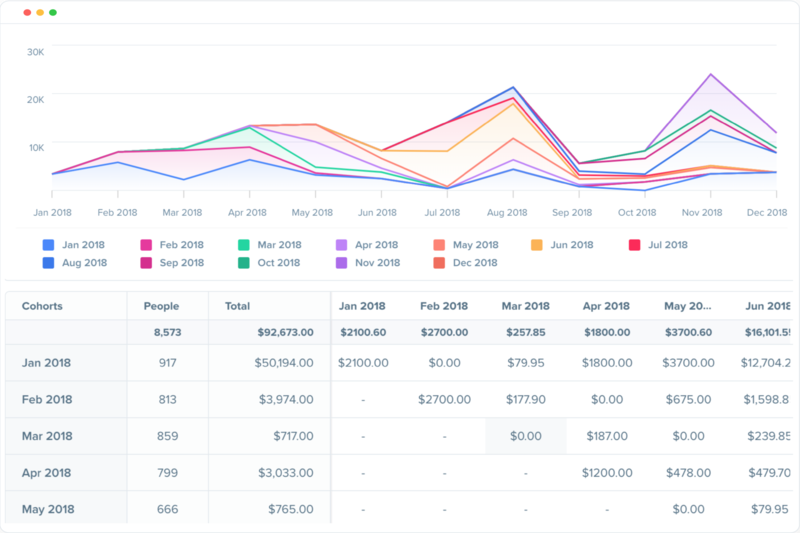 Woopra’s Cohort Analytics Reports help teams analyze growth trends over time by monthly or quarterly cohorts, allowing you to measure patterns throughout the customer lifecycle. 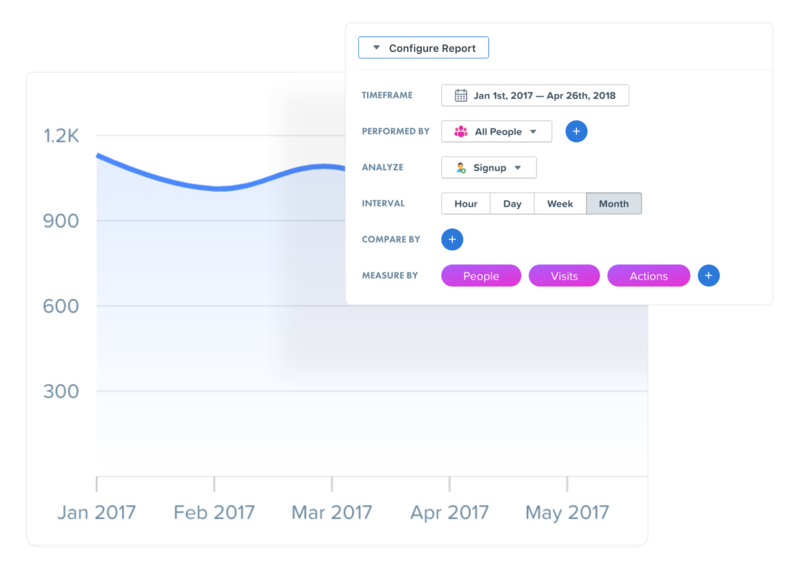 Breakdown users by behaviors such as acquisition date, signup date, first purchase date and more to understand the attributes and actions driving success. Make the decisions that keep customers coming back. 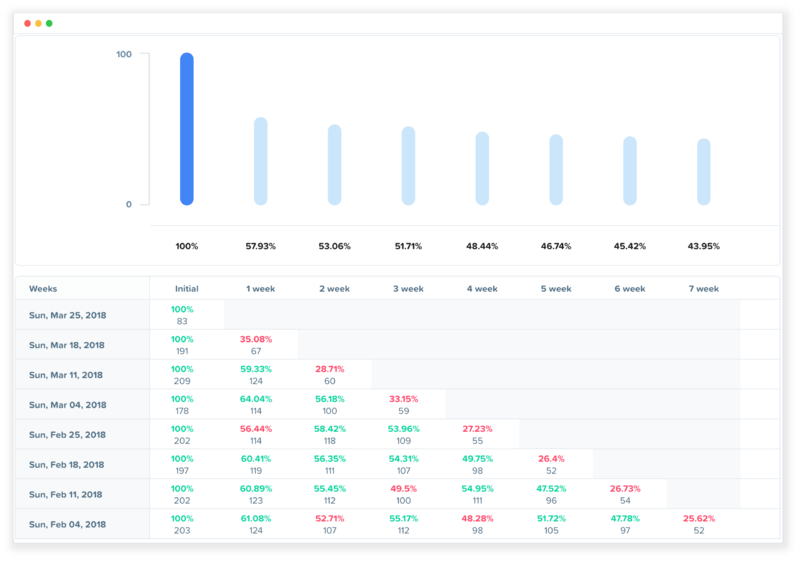 Measure how long users continue to take any action or use any product feature with Retention Reports. Know if customers continue using your app after signup or come back to make another purchase. Easily uncover at-risk users and discover engaged heroes. Slice and dice data like a Michelin Star data chef. Woopra's intuitive visual interface arms teams with the most robust segmentation capabilities on the market. 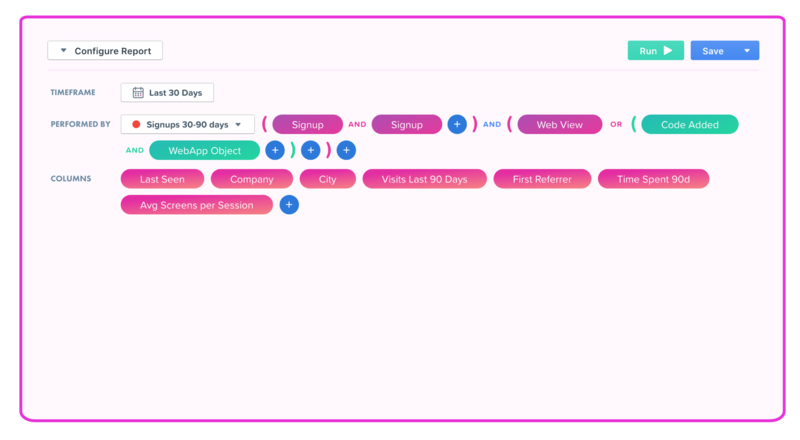 Create dynamic segments of users based on any combination of criteria — from opening an email, to signing up for a trial, to using a hot new product feature. Create experiences that "wow" by knowing who your users are and how they behave across product, marketing, sales and support touchpoints. Full insight into the customer journey. Get started for free to see who your customers are, what they do and what keeps them coming back.